Janine Pineo recently came into the midst of the Richard Armitage fans, and what a ray of sunshine she is. A hackneyed phrase? Sometimes. But never when it fits. Janine’s wit is readily evident. That sharp mind turning and making your eyes open up in its wake and then leaving you with a smile. That’s what I love about Janine, and now her project to send Richard Armitage a thank you is complete and on its way to him which I’m confident will leave him with a smile too. And a huge thank you to her friend Lanie for her part in inspiring this! 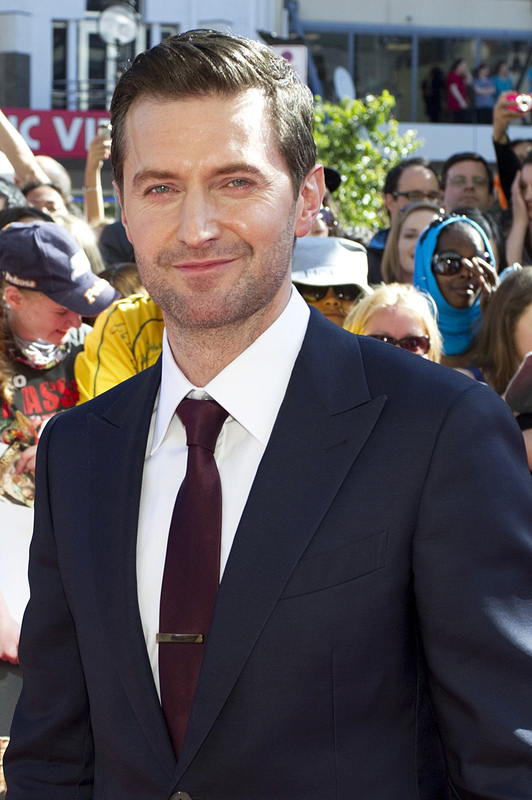 I just love the Armitage fandom. Such cool people and so much variety and so many awesome ideas & collaborations! Well, now I know why my closet shelf collapsed today. To make room for me to crawl in it. Thanks, I think. And thanks to all who sent a letter to join the big bundle of admiration, which is now likely sitting in a bin in a cold storage room in upper South Poughkeepsie. Maybe I should shine a death ray in that direction. I hadn’t heard of this project until just now but I think it is a brilliant idea. I’m sure Richard will be really touched by all those letters. Well done Janine ( and thanks to Frenz for highlighting it) and hoping your Mom is better and things work out well for you after a difficult start to 2013. Thank you for giving laud to a lady who most certainly deserves it. Janine is a lovely human being. Not only is she full of honor and kindness, but her loyalty, resilience and determination to persevere in the path she walks are an inspiration to all who are graced to be part of her life. Her thoughtfulness and generosity should be emulated by everyone in this Army. Her wit and charm have boosted everyone’s spirits more than once, and I am deeply grateful that – thanks to Richard – our paths have crossed. I am a better human being for it, and I pray that she can be blessed with peace of mind, joy in her heart, and an abundance of all the spiritual and material gifts God sees fit to bestow upon her. I hope to deserve her trust and friendship for the rest of my life. Oh, Berta, dearest. I have no words. Blessings to you, dear lady. Thank you. Louie: Never an accident when you find Richard. Welcome. Bolly: Thank you for the well wishes. This will assuredly be a life-changing year.